When you work with a number of employees under you, you need a way to easily store the contact information of all of those employees. You need a simple and professional way to keep track of the names and addresses of all of those who are working under you. 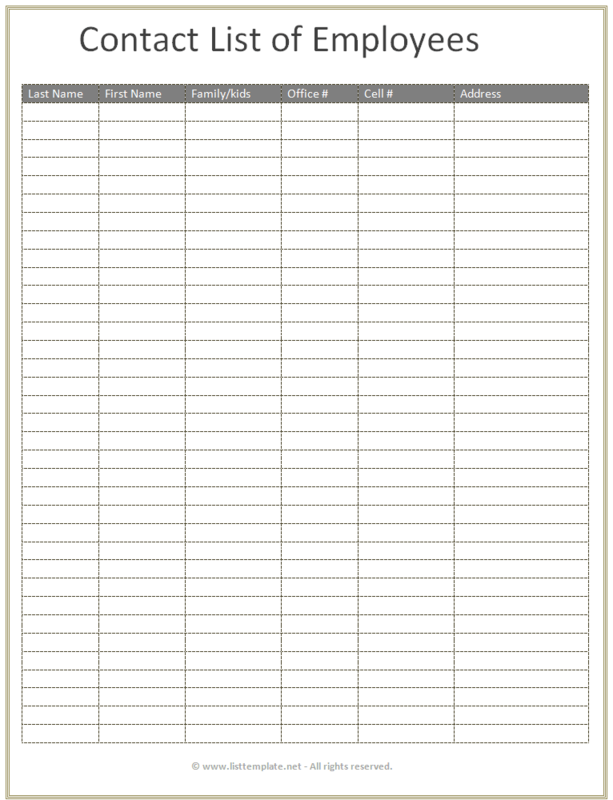 This employee contact list template will help you keep all of this important information in one place. This contact information list template allows you to create the perfect contact list for tracking employees. This template was created in Microsoft Word®, and it includes space for the last name and first name of each of your employees. There is then space for you to fill in the names of family members of said employees. Finally, you will be able to fill in the office number, the cell number, and the address of each of the employees on the list. This contact list template will help you stay organized.